It’s time to brag about it! But wait a second; it’s not as easy as it sounds. If you want your business’ leaders and stakeholders to take notice of procurement, you need to speak their language. Here’s an exercise that we stole from the marketing industry that can help you better get through to your stakeholders. 1. Identify your audience: Who are the most important people that you need to share your successes with? 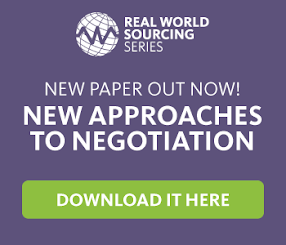 Look at stakeholders throughout your business and the role they play with procurement. 2. Determine what’s important to your stakeholders: Business leaders care about the financial health of their business, and measure this by looking at KPIs like operating margin, earnings-per-share and revenue growth. 3. Translate your success into their language: Most departments heads couldn’t care less about spend under management. Think about how your successes directly or indirectly affect the financial numbers that they care about. Running through this exercise should be incorporated into a systematic approach for internal communications. Remember that all of your successes mean nothing if you’re unable to communicate them effectively and to the right people.